Tired of Traditional Business Books? After the death of her husband, Linda Crill trades her corporate suits for motorcycle leathers and commits herself to a 2,500-mile road trip down America’s Pacific Northwest coast on a Harley. The problem—she doesn’t know how to ride and has only thirty days to learn. 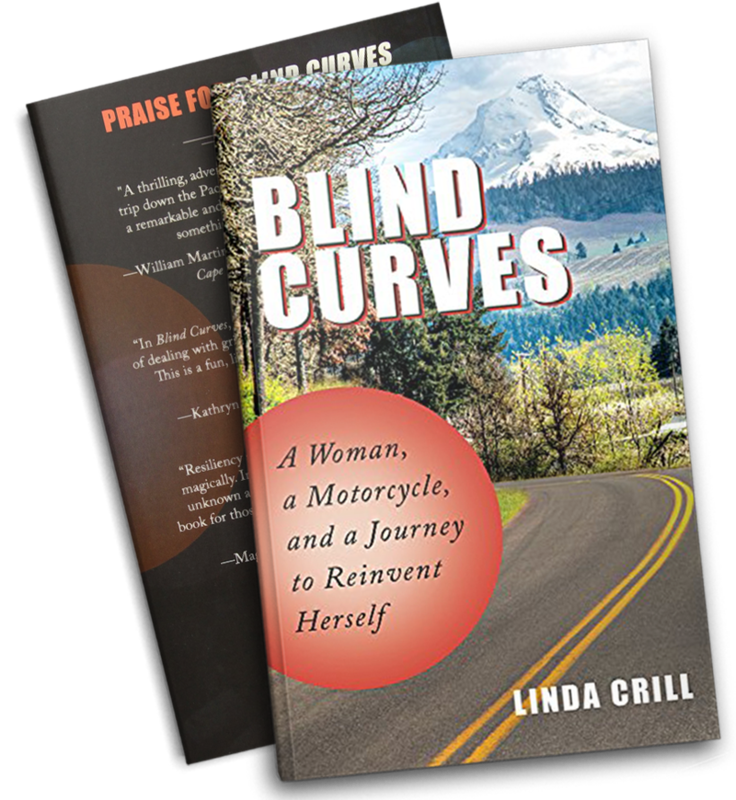 By heading into the unknown—the blind curve—Linda faces her fears, tests old beliefs, and discovers not only a broader horizon of possibilities to use in building the next phase of her life, but also the fuel to make it happen. 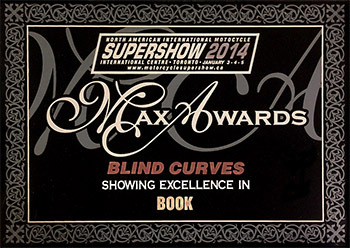 In January 2014, The Max Award of Excellence for best book of the year was awarded to Blind Curves—One Woman’s Unusual Story to Reinvent Herself and Answer What Now? from Canada’s largest motorcycle show in Toronto, Canada with over 10,000 people attending from all over Canada and the U.S.A. It was unusual for an U.S.A author to receive this award since it’s usually reserved for a Canadian author. But since Linda’s Blind Curve story starts and ends in Vancouver, Canada and the committee was inspired by her unusual story, and an exception was made. After 18 months of following one-size-fits-all advice for a 57-year-old new widow, Linda Crill is still miserable. In a moment of rebellion, she trades her corporate suits for motorcycle leathers and commits herself to a 2,500-mile road trip down America’s Pacific Northwest coast riding a motorcycle. The problem—she doesn’t know how to ride and had only 30 days to learn. With less than a month to learn, Linda enrolls in a beginner’s motorcycle course at a Harley dealership. Overwhelmed by the complexities of an 800-pound touring motorcycle and unsure if she can work the biker babe persona, she considers bailing on the trip to retreat into a life of quiet widowhood. But neither option—staying or going—offers the comfort she craves. With little to lose she chooses the road trip, hoping she’ll find answers for rebuilding her life around this blind curve. From Vancouver, Canada, to the wine country of California, this out-of-character choice became a catalyst for discovering answers to “What Now?” By heading into the unknown—the blind curve—she faces her fears, tests old beliefs, and discovers not only a broader horizon of possibilities to use in building the next phase of her life but also the fuel to make it happen. 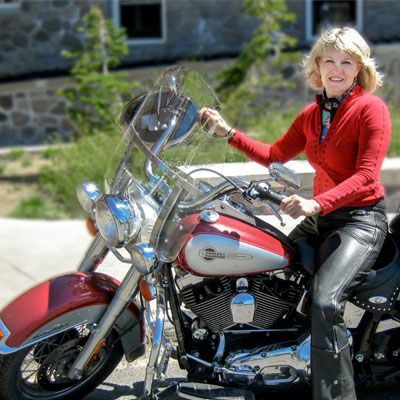 Linda Crill is a reinvention author, speaker, trainer… and biker (yes, as in Harleys). She has an unusual story of reinvention where she trades her corporate suits for motorcycle leathers in a moment of rebellion on a quest to answer “What Now?” She writes in a funny, irreverent tone we can all relate to as we look to find new meaning when life throws us the unexpected and undeserved. Since childhood, Linda has been a consummate reinventor. She has relocated to sixteen states, lived abroad in German and managed a career of hyper‑leaps, to transform from public servant, to non‑profit manager, to Fortune 100 executive, to successful business owner, to published author. Linda has learned how to shift gears quickly, manage chaos gracefully and face change with resilience and a smile – all in pursuit of love and career. After 30 years of helping corporate leaders manage change and spark innovation, Linda found herself facing her toughest obstacle yet. As a recent widow followed by a bout with breast cancer, she yearned for rediscovery to find passion again and a new path forward. She was tired of feeling miserable. Breaking from traditional mourning to chasing the unknown, she decided to do what she never thought possible – committing to a 2,500-­‐mile-motorcycle road trip with only 30 days to learn to ride. It was the catalyst she needed to find answers to “What Now? and reclaim a zest for life, work and play. Answers the Question: “What now?” that many of us are asking in this hyper-changing world ” as the unknown, unwanted, and unexpected touches all of our lives in multiple ways. Blind Curve’s story proves that opening doors labeled “not me” broadens one’s possibilities for reinventing a future filled with new possibilities. Halston to Harley story of a former Fortune 100 corporate executive who trades her business suits for motorcycle leathers, high heels for steel-toed boots, and designer scarves for a faded railroad bandana. America’s Pacific Northwest where the author embarks on a 2,500-mile road trip with a take-you-there travel narrative to one of America’s most popular destinations from Vancouver, Canada, to the wine-country of California. 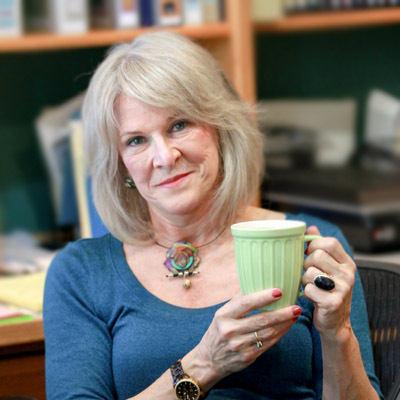 Older Female Linda Crill is spokes-person for how “women of a certain age” can take a ride on the wild side and turn boredom into bliss, security into sizzle, and quiet desperation into a meaningful calling. Vicarious Harley Thrill that taps into the cachet, allure and vicarious thrill of driving a motorcycle. (Who hasn’t watched a motorcycle ride by and thought to themselves, “Wow, that looks like fun!”). Start reading today! Get a preview of Blind Curves by downloading the entire first chapter now. Hardcover, or paperback, order now for free shipping within the USA!